In the past, when students graduated with their medical degree, they applied for their medical license and began a long career of seeing patients. Today, for most physicians their main focus is patient care but many physicians are starting to look at other ways they can apply their skills and expertise. Let’s examine some of the many career paths for physicians. According to Dr. Maria Chandler, the president of the Association of MD/MBA Programs, more than 50% of our nation’s medical schools are offering a joint MD/MBA degree. Additionally, the trend among currently practicing physicians is returning to school to pursue their MBA. As the business side of healthcare becomes more complex, having an MBA provides a unique perspective for seeing the entire healthcare process through a lens of efficiency, cost, and quality. Another option for physicians with an MBA is working on the management side of healthcare. Many within the healthcare industry believe that the more physicians get involved with every level of leadership and management, the better. Returning to school isn’t the only option for physician leaders. 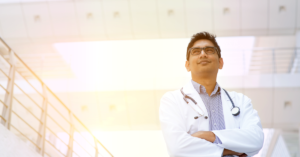 There are organizations like the American Association for Physician Leadership (AAPL) that offer resources, training, and networking opportunities for physicians who want to become leaders. Students who specifically pursue a career in medical research will maximize their research experiences while in medical school. However, practicing physicians who are interested can prepare by getting involved in research projects or participating in some form of structured research experience. Physician-researchers can work on clinical research trials, laboratory science or health services research. Work settings might include academic medical centers, pharmaceutical organizations, or even the government. Another career path for consideration is teaching future physicians or other healthcare professionals. Teaching can include anything from basic sciences in the early years of medical studies to teaching actual clinical skills to third-and fourth-year medical students. Other teaching opportunities can include training residents in their specialty, supervising research projects, or teaching physician assistants and nurses. For physicians looking to make a change in their medical career may choose to pursue opportunities in the insurance industry. These jobs will provide trained medical professionals with regular work schedules and less stress than you would find treating patients. The work setting for this type of career is to review medical claims and determine the validity of the claim and treatment plans for the claimants. Another responsibility is to represent the insurance company involved in litigation by presenting medical opinion as a special witness or expert. 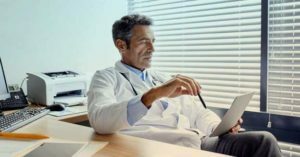 A smaller number of physicians are taking the opposite approach to this career path by returning to school for their law degree and building a new career practicing medical law by representing aggrieved patients. There are plentiful options for physicians who want to utilize their medical degree but are looking at making changes designed to improve their work-life balance. Physicians who have a passion for writing can pursue medical journalism, clinical report writing, or taking on editorial duties at healthcare or pharmaceutical companies. Occupational medicine is a field where physicians can put their knowledge and training into helping companies prevent workplace injuries and illness. There is no shortage of career paths for physicians to pursue, whether fresh out of medical school or ten years into their professional practice. Some opportunities require an additional commitment to education like an MBA, law degree, or some other specialized qualifications, but the foundation of your medical degree can lead you anywhere. If you are interested in exploring new opportunities, contact a Jackson Physician Search recruitment professional today.